Analyze statistical data and interpret survey results from complex samples. 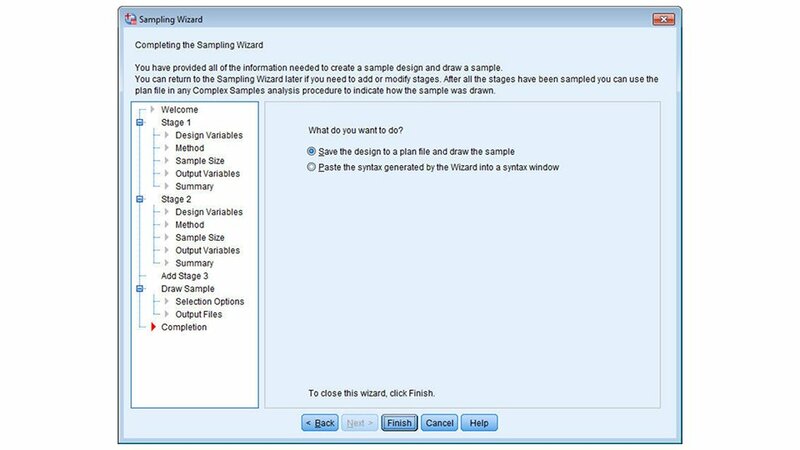 IBM SPSS Complex Samples helps compute statistics and standard errors from complex sample designs by incorporating sample designs into survey analysis. 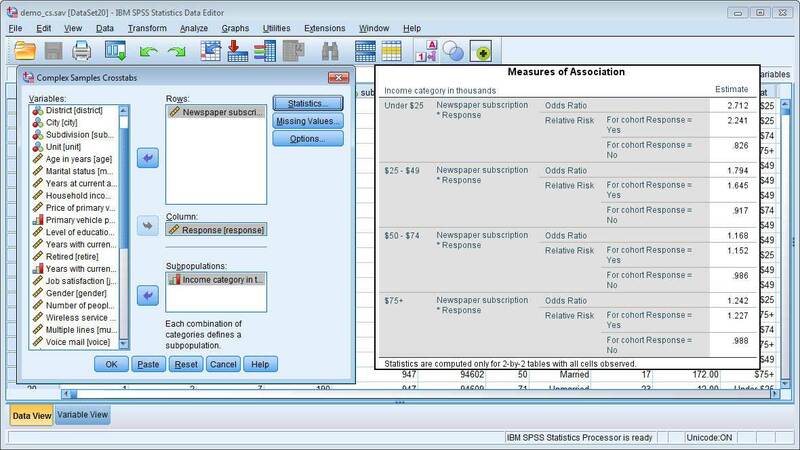 This module of IBM SPSS Statistics offers planning tools such as stratified, clustered or multistage sampling. It can also produce a more accurate picture of your data because subpopulation assessments consider other subpopulations. 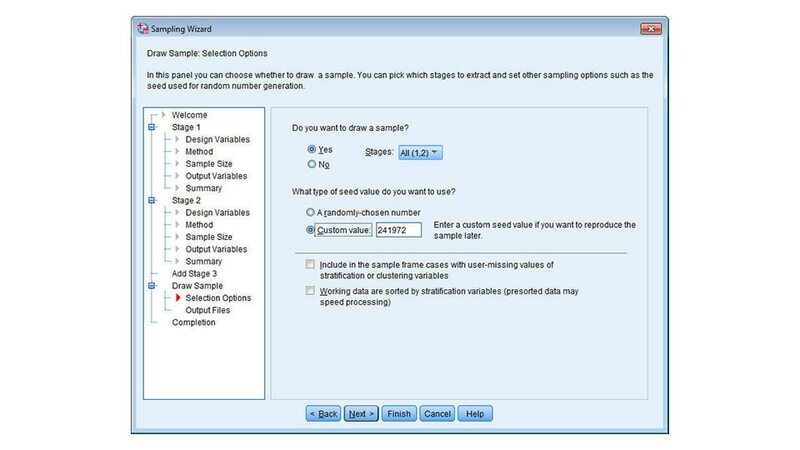 You can reach correct point estimates, predict numerical and categorical outcomes from nonsimple random samples and account for up to three stages when analyzing data from a multistage design. 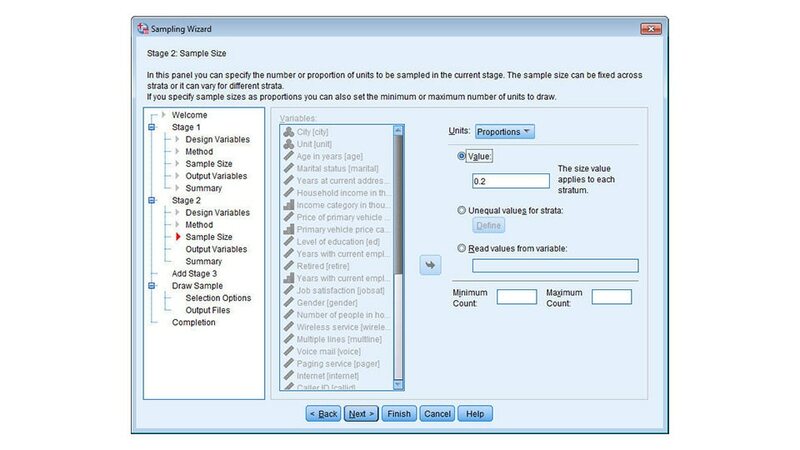 Increase the precision of your sample or ensure a representative sample from key groups. 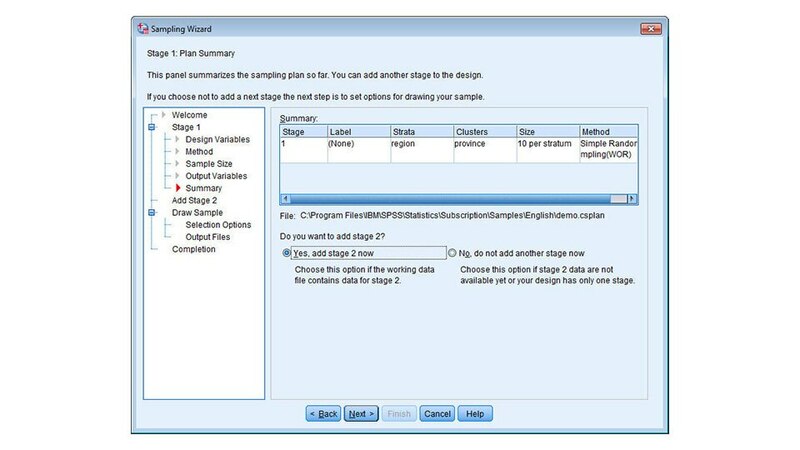 Employ multistage sampling to select a higher-stage sample. Retain survey planning parameters. 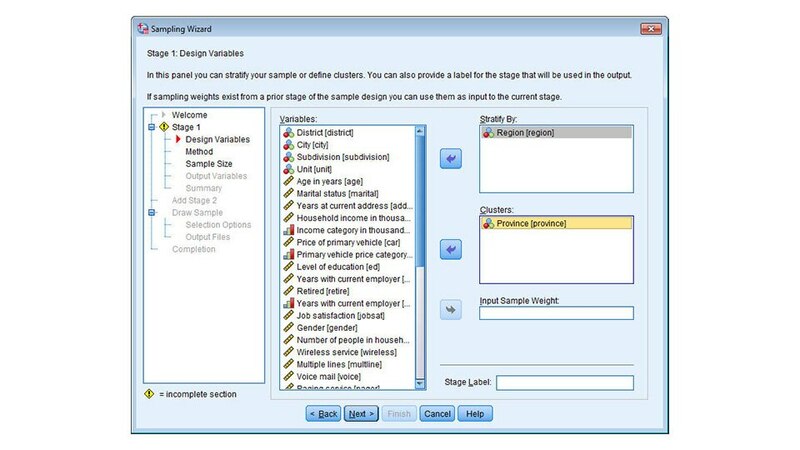 Publish data sets and reuse plans as templates. Select clusters or groups of sampling units to make surveys more cost effective. Display one-way frequency tables or two-way cross-tabulations. Build linear regression with ANOVA and ANCOVA. Estimate means, sums and ratios. And more. 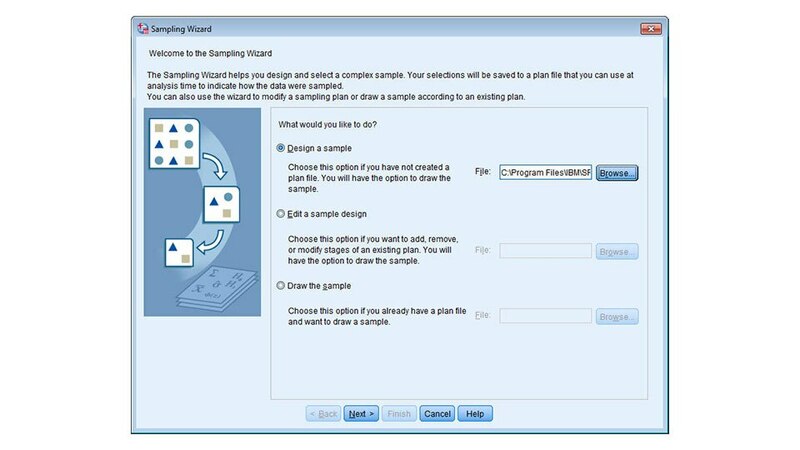 Use helpful wizards to specify how samples are defined and standard errors estimated; define schemes and draw samples. Select complex, probability-based samples from a population.